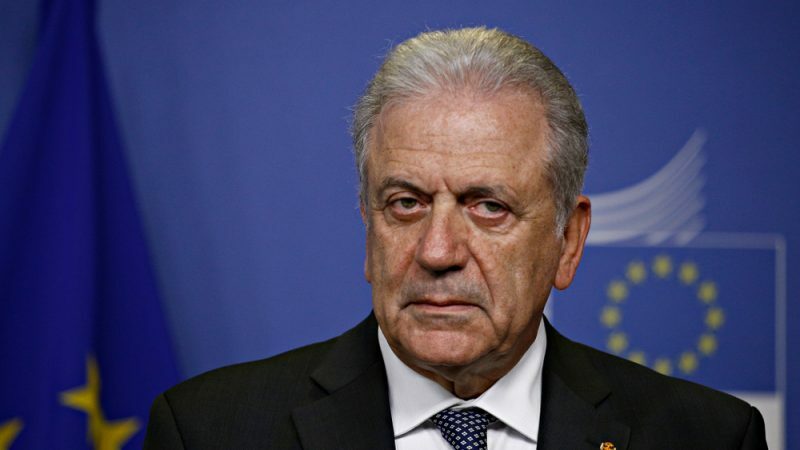 Dimitris Avramopoulos, the EU’s migration Commissioner, made a statement on 23 January opposing the historic name change deal between Athens and the former Yugoslav Republic of Macedonia (FYROM), the so-called Prespa Agreement, due to be ratified this week in the Greek parliament. “The Prespa agreement is not balanced and therefore problematic,” Avramopoulos, a Greek centre-right politician, said in a statement carried by the media in Greece. The statement is in contrast with the official position of the European Commission, which has fully backed the agreement saying it’s a historic moment for the European future of the Western Balkans. “Our position is clear: the European Union supports the historic agreement signed by Prime Ministers Tsipras and Zaev in June last year,” an EU spokesperson told EURACTIV. Avramopoulos served in the past as a government minister of the main opposition New Democracy (European People’s Party), which has vowed to block the deal in the Greek parliament. EURACTIV understands that Avramopoulos, who is considered as a more liberal member of New Democracy, has been under pressure by his party in Athens to take a position on the issue, a few hours before the Greek parliament was due to vote on the deal. He was endorsed to be EU Commissioner by former Prime Minister Antonis Samaras, a politician who also fiercely opposes the Prespa Agreement. The conservative opposition in Greece accuses the government of surrendering Macedonian identity and language to its northern neighbour, which became independent after the break-up of Yugoslavia in 1991. The Syriza leftist government insists that it has followed the national line, which was a new name with geographical distinction – North Macedonia – to be used in relation to everyone (erga omnes). The government also says the Macedonian language was recognised at a UN conference in Athens in 1977, under a New Democracy government. In his statement, Avramopoulos said all [Greek] governments in the past had agreed on the geographical distinction, in this case the word ‘North’ before Macedonia, but not on the “historic definition that is attempted through the agreement”. “Ethnicity and language mean nationality and give way to irredentist nationalist policies,” Avramopoulos added. Dimitris Papadimoulis, a Syriza MEP and vice-president of the European Parliament, lashed out against Avramopoulos and accused him of hypocrisy. “After months of silence, Commissioner Avramopoulos issued a statement on the Prespa Agreement that seems like Pythia’s prophecy. Does he stand against the Commission’s positive stance on the Agreement? If not, what is he aiming for? One foot can’t stand on two boats!,” Papadimoulis said. This is not the first case when a Commissioner takes one position in Brussels and another one in his country. 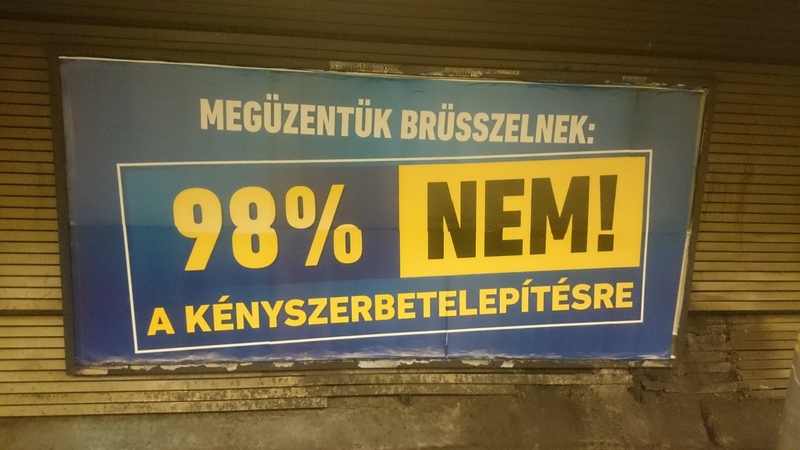 Hungarian Commissioner Tibor Navracsics said he had voted “no” in the October 2016 referendum against the Commission-proposed EU-wide migration quotas, although he didn’t oppose the proposal at the college level. The Commission told EURACTIV today (20 October) that Hungarian Commissioner Tibor Navracsics had clarified with Commission President Jean-Claude Juncker that his commitment to the EU remains “unshaken”, despite the fact that he voted against the Commission’s policies in the Hungarian referendum.